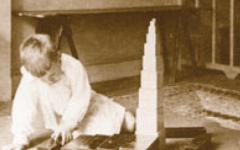 Nienhuis Montessori was founded in 1929 by Albert Nienhuis, who collaborated with Maria Montessori to create products which reflected her vision of education. Children feel a natural drive to develop and need to be given the opportunity to do so freely. Nienhuis Montessori’s product range enables children to discover the world independently. We only use the best materials, created with care, commitment and attention to detail. 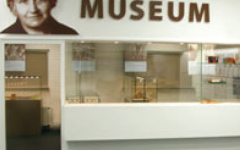 Nienhuis combines skills with technology, and has been doing so for over 85 years. Educating people is a skill. In 1975, a distribution center was opened in the United States to focus on Montessori customers in North and South America. 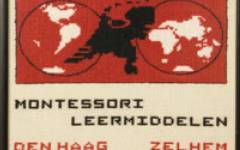 Nienhuis Montessori has been officially endorsed by the Association Montessori Internationale (AMI) for decades. It is the world’s leading brand when it comes to Montessori materials. We work with specialists from within the field of education who share our ambition. In line with the Montessori vision, we develop materials which create a stimulating educational environment, in which the child always has a central position. 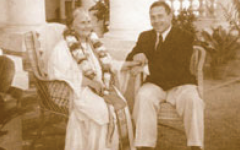 The year it all began... Nienhuis Montessori is founded by A.J. Nienhuis in The Hague. A.J. Nienhuis retires. His son, Jan Nienhuis, takes over. The company is growing – Nienhuis moves to a larger location nearby. Nienhuis relocates to Zelhem, a city in the Eastern part of the country. This is still its location today. Nienhuis Montessori USA opens in Mountain View, California. Nienhuis Montessori celebrates its 50th Anniversary. Nienhuis Asia opens. A factory and warehouse in Sri Lanka. Nienhuis USA expands its showroom. Customers come from all over the US to attend the opening celebration. Nienhuis USA moves to 140 E. Dana Street, a larger facility around the corner from its previous location. Once again, the office and warehouse are together. The Nienhuis Asia factory continues its expansion. Large, highly functional production and warehousing facilities are completed. The plan to shift all Nienhuis production to this location begins. The Zelhem location opens its substantial Export Center. Nienhuis, Toys for Life, Heutink and Educo products are all shipped from this location – 4 Brands, 1 Shipment begins. Nienhuis USA moves to its current home at 150 S Whisman Road - a fully renovated, state-of-the-art, highly efficient office and warehouse facility created to better serve its growing market.